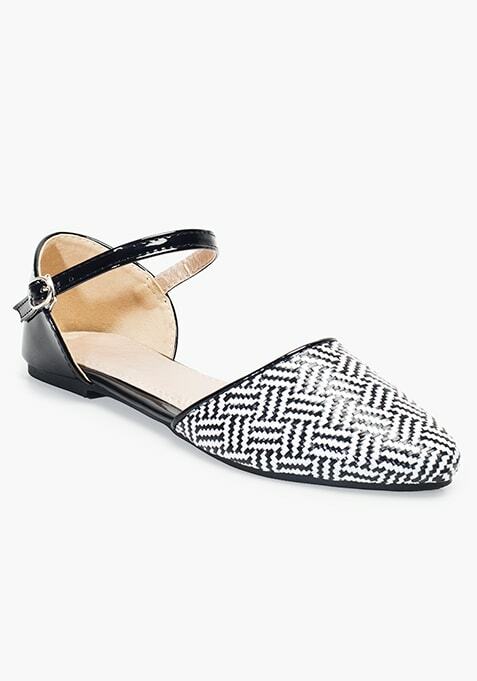 Make a stylish addition to your footwear collection with these woven monochrome flats. These chic flats feature an ankle strap style, pin buckle closure and a flat sole. Work It – Team it up with a printed jumpsuit and tote bag.